It’s often said that brewers brew the beers they’d like to drink and hope that beer drinkers embrace them. We take that approach at Boulevard Brewing Company, but we also depend heavily on the feedback we receive from you, our loyal fans. 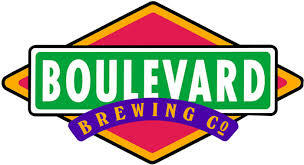 Lately, the message, “We want Boulevard cans!” has been heard loud and clear. To this end, we’re excited to share with you that we’re currently in the planning stages of bringing canned Boulevard beer to reality in 2015. You’re likely familiar with Unfiltered Wheat Beer, Pop-Up IPA, and Ginger Lemon Radlerand we hope you’re very excited to be able to enjoy these beers in places normally not accessible to glass bottles. New to the lineup is Heavy Lifting IPA. Based on the wildly successful Tasting Room beer, Mid-Coast IPA, Heavy Lifting joins the family as a year-round offering available in both cans and on draft. Think of Heavy Lifting as a close cousin to Mid-Coast IPA. Coming in at 6.2% ABV and 80+ IBUs, Heavy Lifting features massive late and dry-hopping with Centennial, Amarillo, Topaz and Citra hops that leap from a minimal malt base composed of our base pale malt and a touch of Munich malt. While some details are in the process of being finalized, we were just too excited to keep this news to ourselves any longer. Stay tuned in the coming weeks as we hope to share more specifics with you.